England 1950, a country still struggling to come to terms with peace in the grip of austerity and rationing. When the body of a man wearing a pinstriped suit is found in a secluded bay on Portland Island, Dorset Scotland Yard detective, Inspector Alun Ryga is sent to investigate. When the body of a man dressed in a pinstriped suit is discovered by war photographer, Eva Paisley, in a secluded bay on Portland Island, Dorset, Inspector Alun Ryga of Scotland Yard is despatched to investigate. Recently promoted, the thoughtful, observant Ryga, is on his first solo investigation outside of London, and is keen to prove his worth. 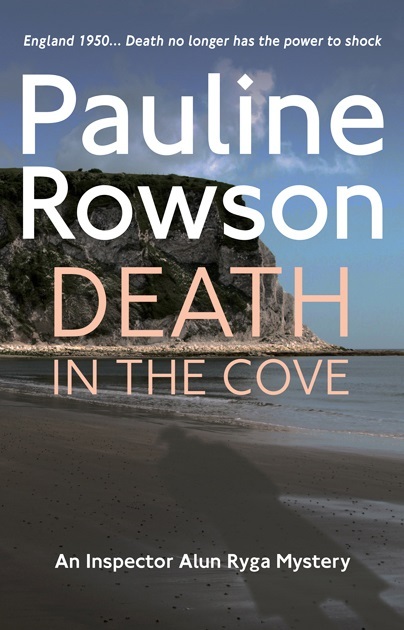 Ignoring the warnings of the local police inspector, and the Dorset Chief Constable, that his trust in Eva Paisley is misjudged, Ryga quickly realises that her observations could provide the breakthrough he needs in a complex murder investigation and the answer to the haunting circumstances that have sent the man in the pinstriped suit to his death.